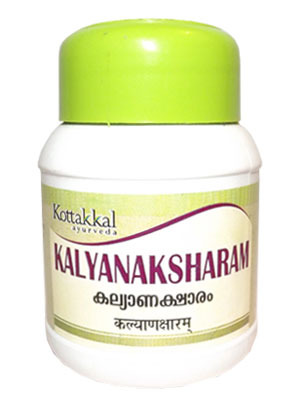 Kalyana Ksharam is a powder formulation. It is used in the treatment of hemorrhoids, constipation, bloating. It is used in sprue, intestinal worm infestation. It is used in urinary disorders such as UTI, dysurea, urinary calculi. It is used in respiratory diseases such as cough, cold, bronchitis and asthma. 125 mg � 50o mg used in various combination, orally and also externally appiled. The above combination of burnt into ash in closed container to obtain the Kshara.